There’ll always be accusers who claim they were sexually assaulted but weren’t. In recent years, we’ve become familiar with the false-memory syndrome. They’re “suggestible” individuals who claim to have suddenly remembered their childhood abuse, usually under hypnosis or guided imagery. To suddenly remember the events of childhood isn’t unusual. 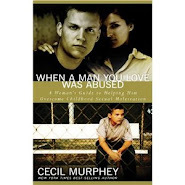 Many of us had no memories of our abuse. A century ago, Freud pointed out that we block out those memories that are too painful to accept. On TV, I recently watched the 1973 film, and heard Barbra Streisand sing the movie’s title “The Way We Were.” One line says that what was too painful to remember, we chose to forget. But when I think about the false-memory syndrome, I’ve encountered three people who told me such horrendous tales of abuse, including infant sacrifices, that they strained my level of credibility. How do we, the survivors of childhood trauma respond? Do we believe their words? Or even more, how do we help them? I don’t know the answers, and my only response is, “Show compassion.” I write that because even if molestation didn’t literally occur, the person still has serious needs. The most healing thing I can do is to listen. To care. To express compassion. I can never go wrong by being compassionate. On February 19, 2016, I posted a blog called ”Unpleasant Things” about families refusing to know about sexual assault in the home. Andrew Schmutzer, a frequent responder to this blog, commented, “They don’t know, because they don't want to know. This is an ETHICAL issue, not a cognitive one.” His response resonated with me. Immediately I thought of the trial of Jerry Sandusky of Penn State. He sometimes took his victims into his basement, and one survivor said he screamed for help. Sandusky’s wife testified that she never heard any cries. I can only conclude Sandusky’s wife didn’t want to hear. Too often those who should believe us can’t accept the truth. But then, I realize that all of us have some of that not-knowing-the-truth. When any criticism or accusation is something we’re not ready or unable to hear, we deny it. I think of many times my friends or enemies tried to tell me something distasteful or repulsive about myself. Until I was open, I never “heard” them. I make this point to say, we also need to learn to forgive those deniers. They help victimize us without realizing their wrongdoing. I also forgive those who hurt me by being unable to face the truth. I wonder how many people have written or spoken words like that. They parrot the idea that females are more emotional and more damaged than males. They don’t produce any evidence, but make strong assertions. This much seems obvious to me; however, we males are more severely damaged by society’s reluctance to accept our victimization. We’re afraid of being called gay, sissy, or being judged as being less than male. Thus many of us tough it out and remain silent. By not speaking up, we don’t have to face taunts and pointing fingers. But we also miss healthy affirmation, sympathy, and acceptance. And why does it have to be a comparison between the genders? Shouldn’t it be enough to say, “I am a survivor of sexual assault that stole my innocence”? I’m not concerned about proving I was more traumatized than a female. I am concerned about admitting my deep-seated pain and recovering. The more we males speak up, the more we push others to accept us. In 1990, I heard a scholar insist that boys were not abused. Does anyone still hold to that? We’re making progress. And it’s up to us, the survivors, to gain acceptance by speaking out. 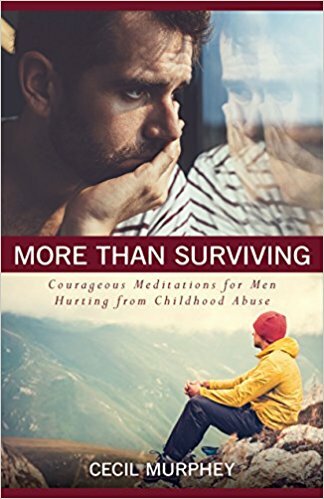 the more I speak about my abuse, the more I help other men to heal. They’re lying—even if they can’t admit it. That’s not meant to be judgmental. In fact, I consider their words as more a wish or desire than fact. I’m not convinced anyone gets over it. We certainly move past the pain and the horror of childhood, but the trauma holds lasting effects. For example, some men absolutely can’t trust others. One of my good friends was sexually assaulted by his mother and he admits he doesn’t trust women. Three divorces have forced him to admit that. All of us have residual effects and we’ve lived with them all our lives. I’m an example of the overachiever. No normal person writes 137 books, posts twice weekly for two blogs, and does a lot of public speaking. I used to say, “God gave me a lot of energy,” and that’s true. Now I say, “I was a driven man.” I constantly had to prove myself. I could have said, “prove myself to others,” and that’s a factor. But having to prove myself to myself that I’m lovable and worthwhile was the major residual effect of my abuse. Last month, two different men told me they were over “it.” I didn’t argue or try to correct them. But both of them are in the morbidly obese category. Food seems to be their drug of choice. And their drug keeps them in denial about where they are now. I’m not totally over my abuse, but I’m stronger and healthier for having faced my pain. Healing is an ongoing process in my life. The most courageous step for survivors is to speak about our abuse openly. That was the single most healing step for me. Until I opened up to others, my sexual assault was still something secret. Hidden. And publicly denied. I needed to speak, to be believed and understood, so I chose my first confidants carefully—and with trepidation. To my amazement, the first two people heard me and supported me. They embraced me with words, but also with their arms that pulled me into a warm embrace. For me, that was the beginning. I’m a public speaker and appear before various groups, congregations, and organizations. The first two times I referred to my painful childhood, my hands shook and my voice quivered. But I did it. I make my living as a ghostwriter or collaborator and have taught in 259 conferences for writers. For the past decade, whenever I tell them about me, I mentioned being molested. And I wait silently while he tells me his story. When that happens, I feel affirmed for being vulnerable to an audience. I also feel invigorated for helping another man start his healing journey. Every survivor needs to be heard and believed. I need to be heard and believed. “But it felt good and I liked it,” Gerald Ray said. I stopped Gerald right there. “The adult part of you is speaking. You’re looking at who you are now and how you would react if it happened at age 35.” I pointed out that he was an innocent child and his perpetrator (his father) took advantage of him. I’m writing this as a serious Christian and have long believed God forgave me. However, like Gerald, and like many other survivors, it was myself I couldn’t forgive. So for a long time, I spoke the three words I urged Gerald to use. Real named used by permission. One of my big struggles in my healing journey has been to feel my emotions, especially the intense ones. That’s the curse and the blessing of my childhood abuse. The pain and the memories were so intense, I blocked them out. That unconscious action was a marvelous survival technique and a way to avoid my deepest hurts. 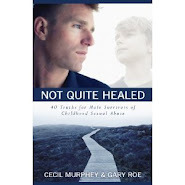 Other men use artificial means to deaden their pain—alcohol, drugs, or sexual experiences. And when they’re not engaged in them, they’re in agony. I’m one of those who didn’t feel the anguish and lived in denial. I didn’t remember my childhood trauma for a long, long time. Whenever an emotional situation became acute, I numbed out. And wondered why. Over the years of writing this blog, responses from other survivors have shown me that many of you are like I used to be. Part of the problem was that I was afraid of those powerful emotions, especially my anger. My friend David said, “You haven’t killed anyone yet, so trust yourself and open up." One day my emotions seeped through my resistance and I began to weep. Not just a few tears, but convulsively. For hours the pain was so severe I couldn’t stop. A few weeks later, anger was one of those powerful emotions that erupted, but I was able to accept. And yet, in the midst of that excruciating trauma, I was glad. “Finally,” I said. That didn’t lessen the pain, but it pushed me down the road toward reclaiming my emotions. It hasn’t been easy, but I can now say that most of the time I feel my emotions and they’re no longer as terrifying as I once thought they were. to make me healthier and to connect more fully with others. His words sounded odd, and I hardly knew how to respond. It took me a few minutes to absorb David’s words, but I knew he was right. I still didn’t know how to show compassion for myself. “Think of that little kid who was molested. He survived and he didn’t give up on you, did he? You’re who you are today because of him.” David reminded me that my two younger brothers became alcoholics. When I spoke about them, he pointed out that I spoke understandingly. Self-compassion was another term he used. I had set higher standards for myself than I did for others. When they failed, I didn’t judge them, but accepted their being human. I couldn’t do the same for Cec. “You know better,” was something I said accusingly to myself back then. Now I’m learning self-compassion. I wish I could say it’s been easy, but it hasn’t. Each day I say several statements about myself. They’re all true and the more often I say them, the more I affirm them. I accept and embrace who I am. I treat myself with compassion.